Enjoy a relaxing massage at the Banyan Tree Singapore: the first Banyan Tree Spa in Singapore. 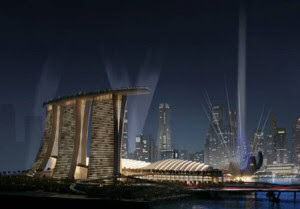 Banyan Tree Spa Singapore operates over 60 spa resorts worldwide but will open its first Singaporean resort on the 55th floor of the Marina Bay Sands Hotel. The 20,000-square-foot spa and health club will offer 15 spa treatment rooms, each with its own nature theme. The Health Club will offer a gym and cardio corner, Pilates, yoga and a juice spa. Include to that an amazing sky view over Singapore, and you understand that Banyan Tree again delivers what is it famous for. 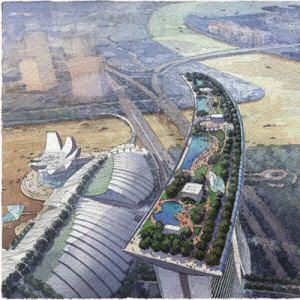 Completion of the Banyan Tree Spa Singapore is scheduled for the health club in mid 2010, and the spa shortly after. To be on the safe side, I would make a booking from September onwards.